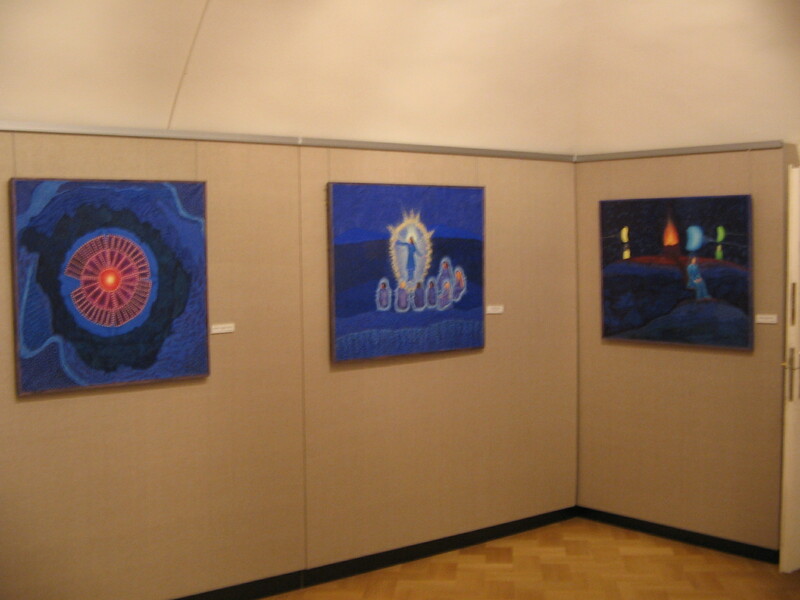 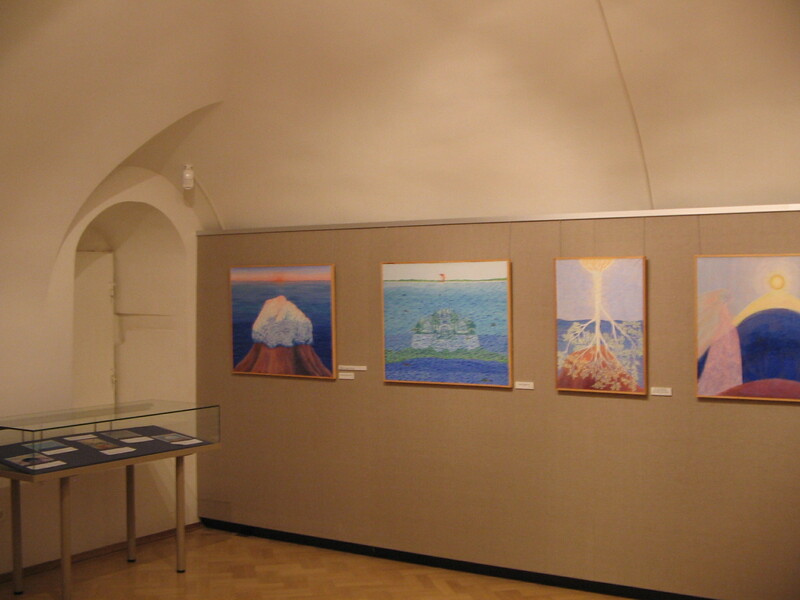 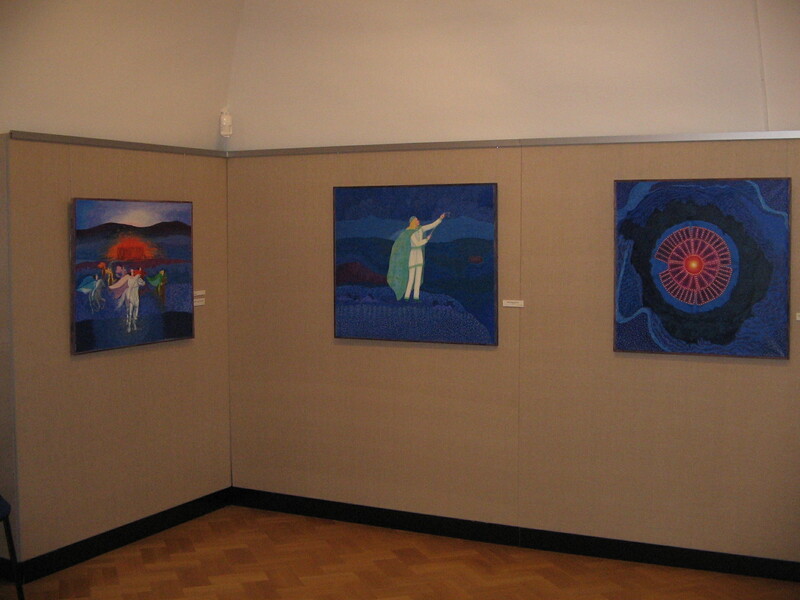 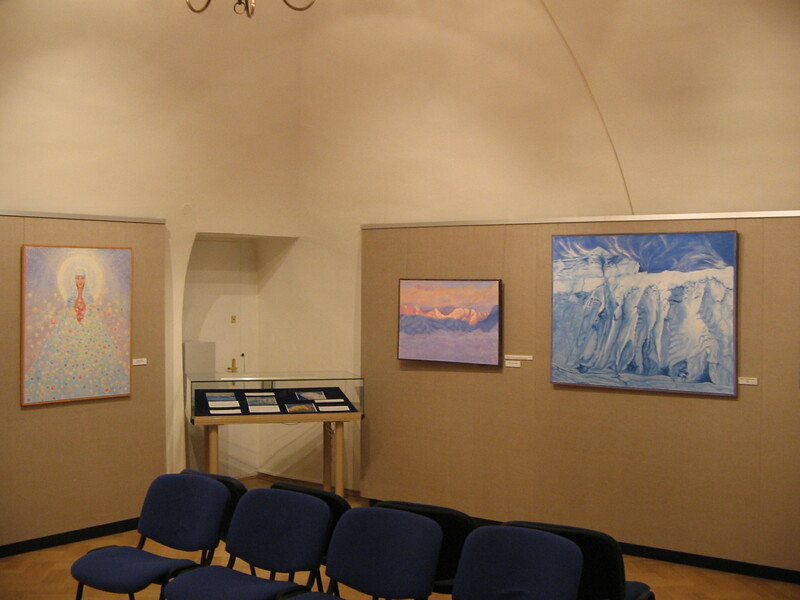 Exhibition "From the Heart of the Legends"
My solo exhibition "From the Heart of the Legends" was held in Moscow Museum of Nicholas Roerich in May-June of 2006. 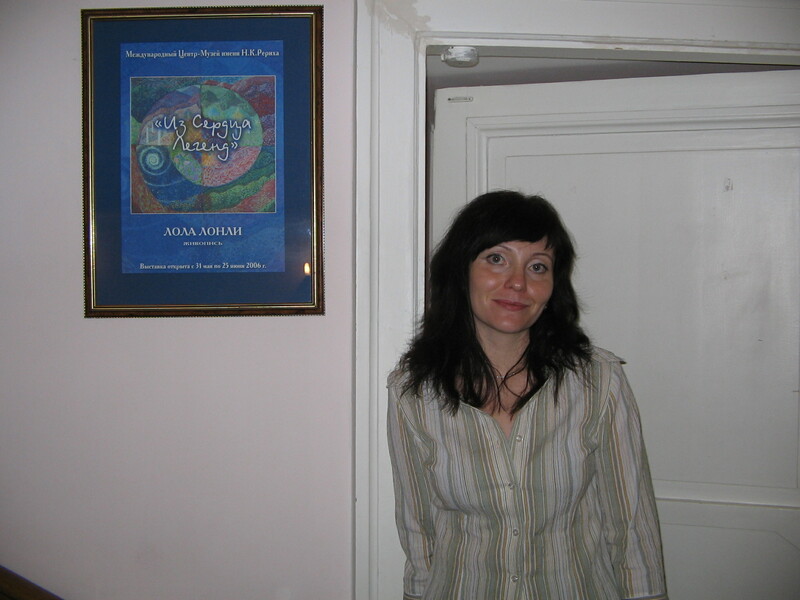 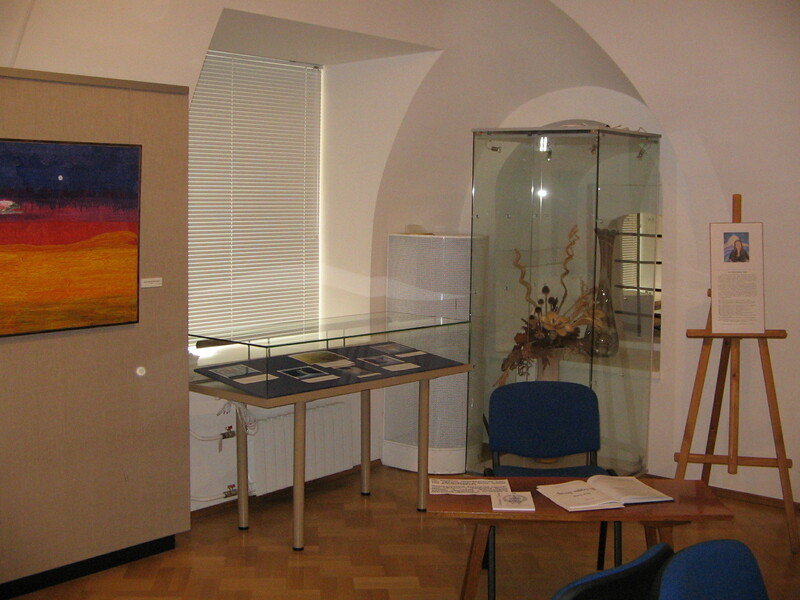 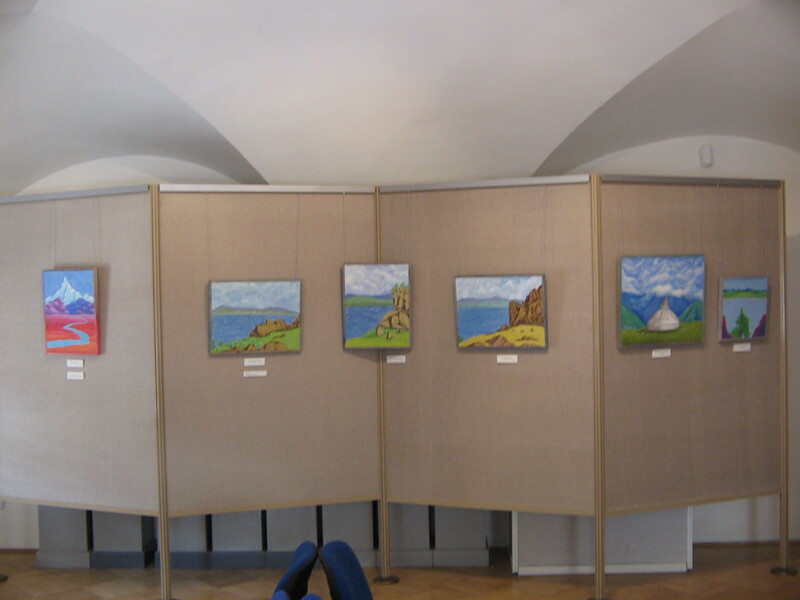 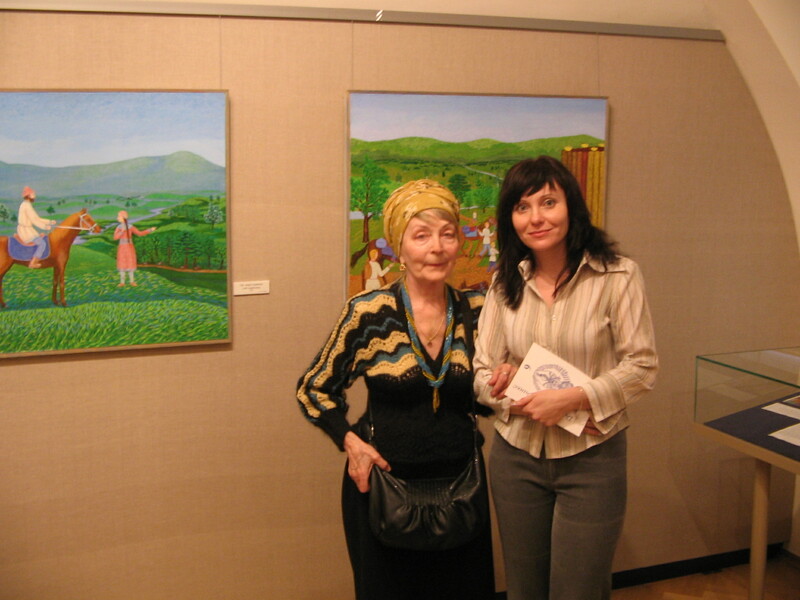 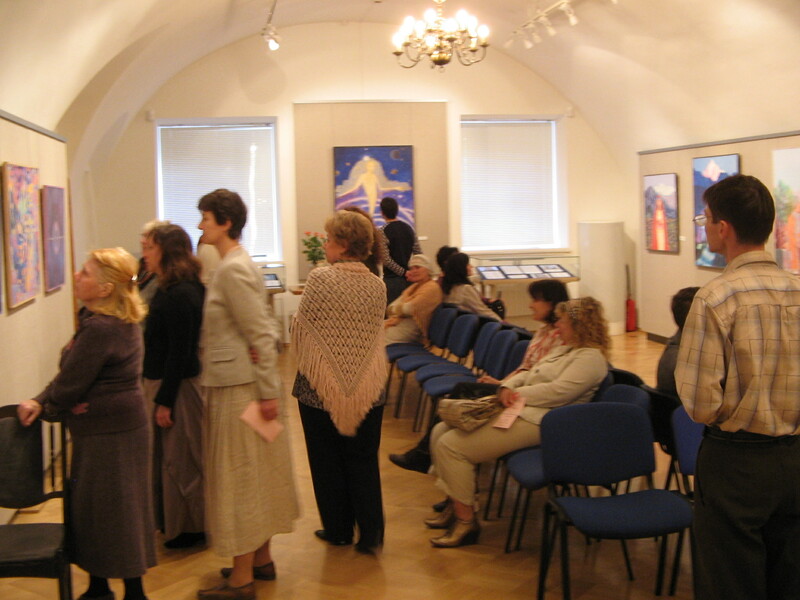 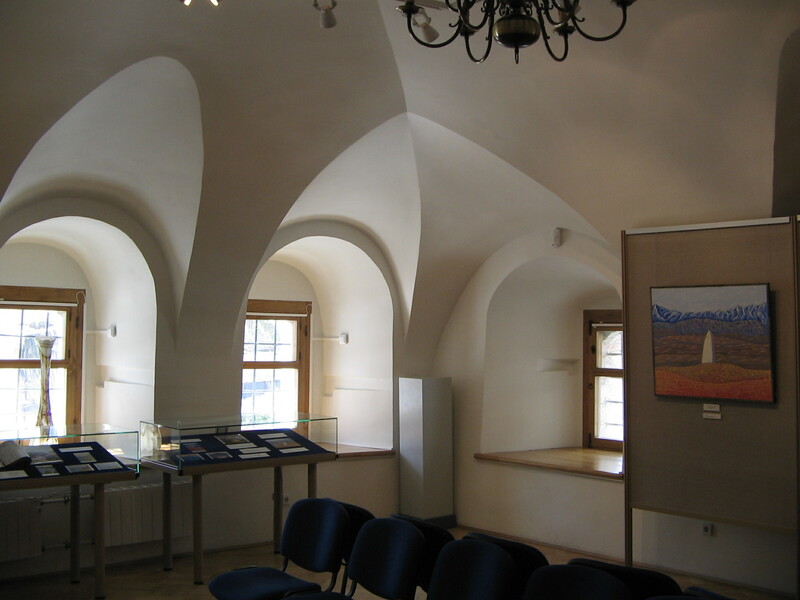 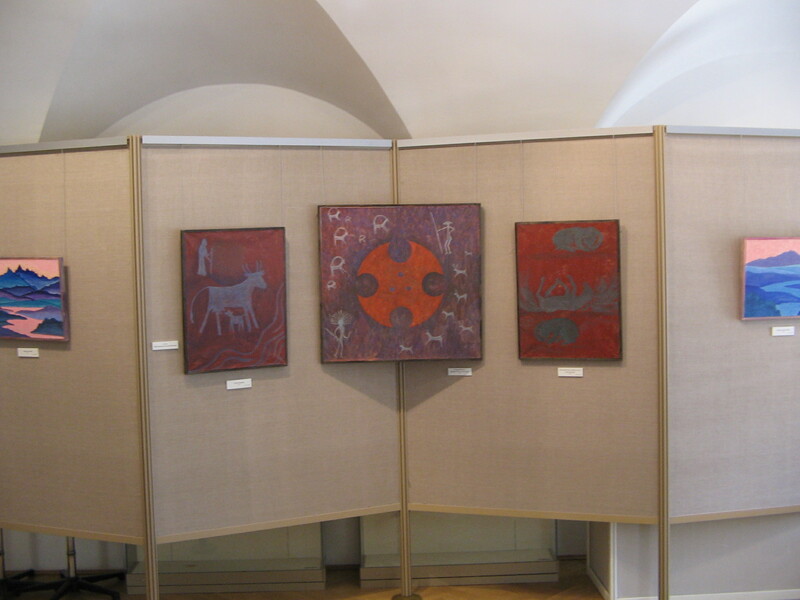 My artworks were displayed in four rooms, there were many of them painted in 2000-2006 inspired with legends of ancient Slavic people, tribes of Altay and that's how the name of the exhibition was created. 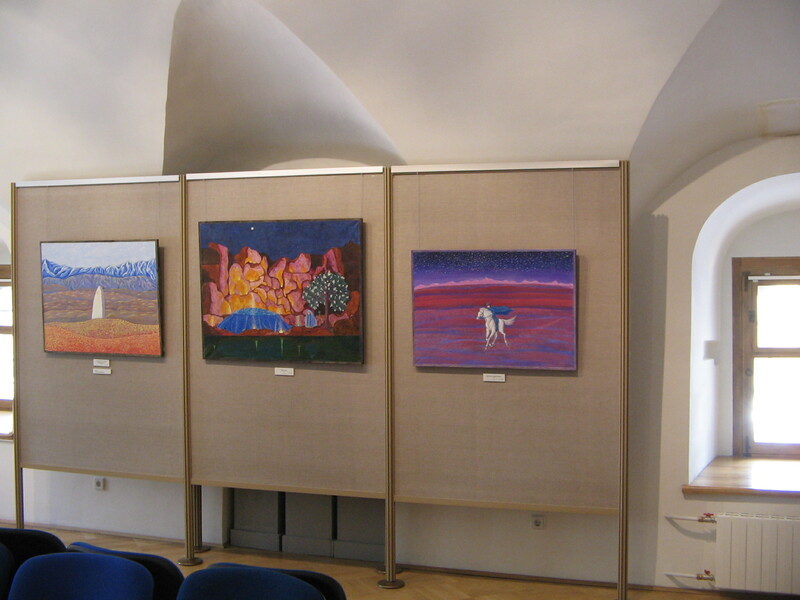 In 2001-2002 I was visiting Ural with my exhibitions, and created Arkaim series of painting basing on my impressions from the place where this ancient city was located. 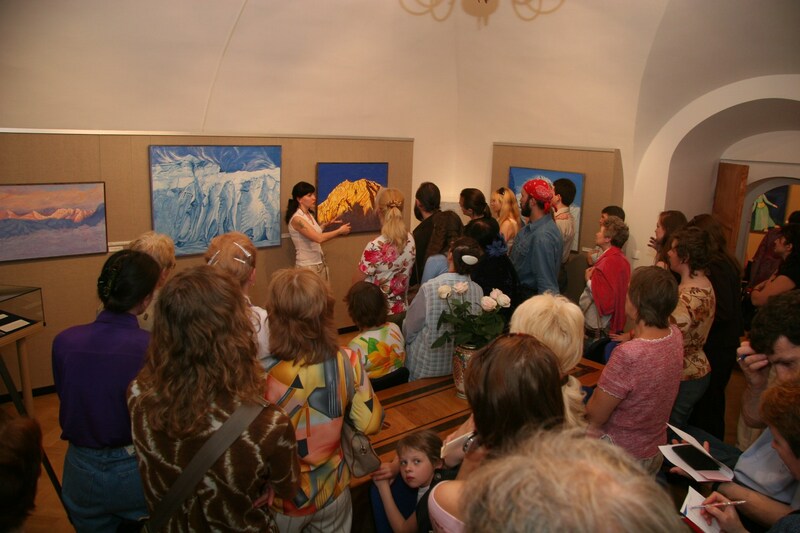 Similarly, series of painting Lake Turgoyak was inspired by beautiful landscapes of this marvellous lake. 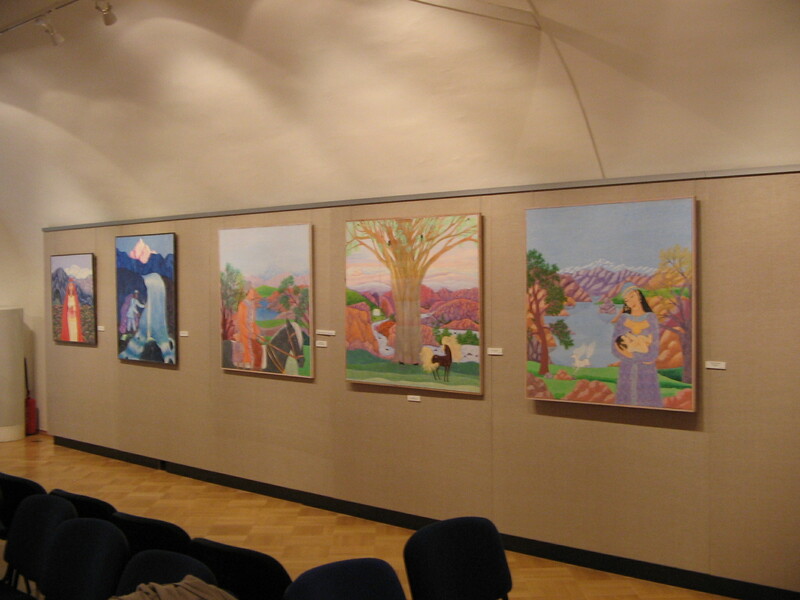 Besides, there were paintings from the Greatest Mountains of the World and the Legends of the Universe series, created basing on the Cosmic Legends of the East book. 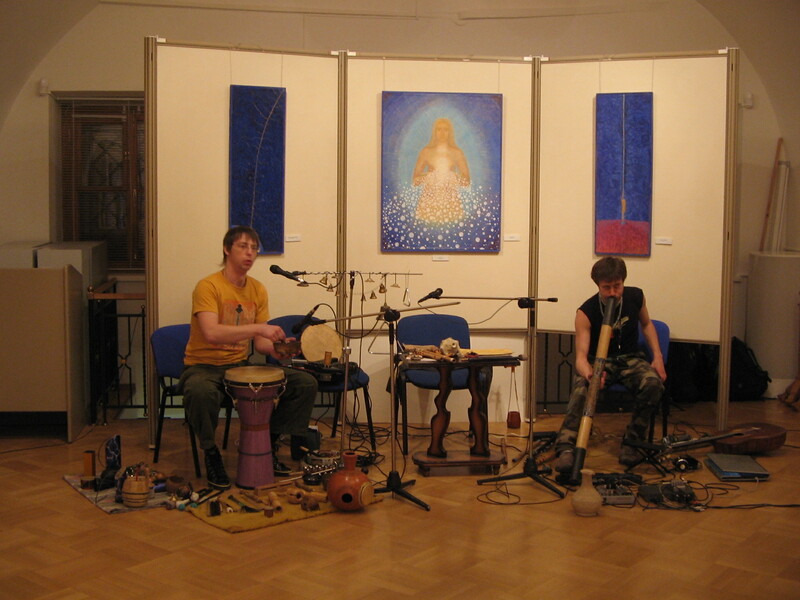 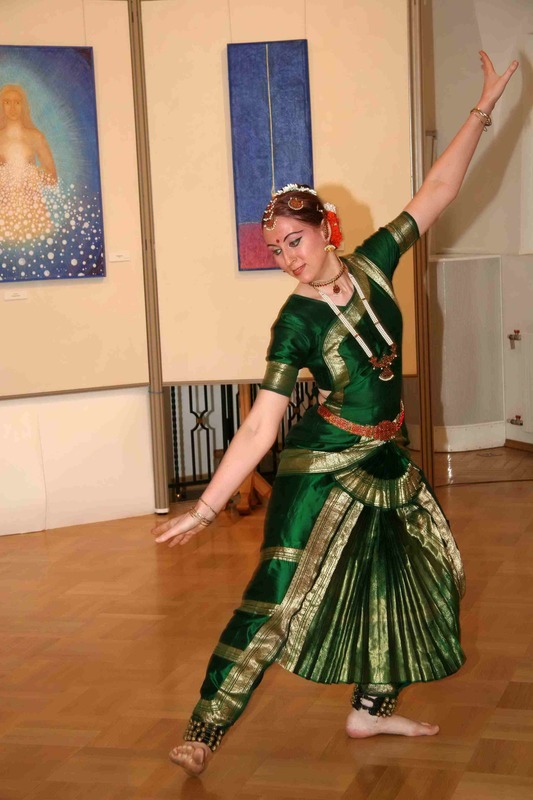 During the exhibition, there was performance of Sarasvati studio of Indian dance and of the ethnic music band. 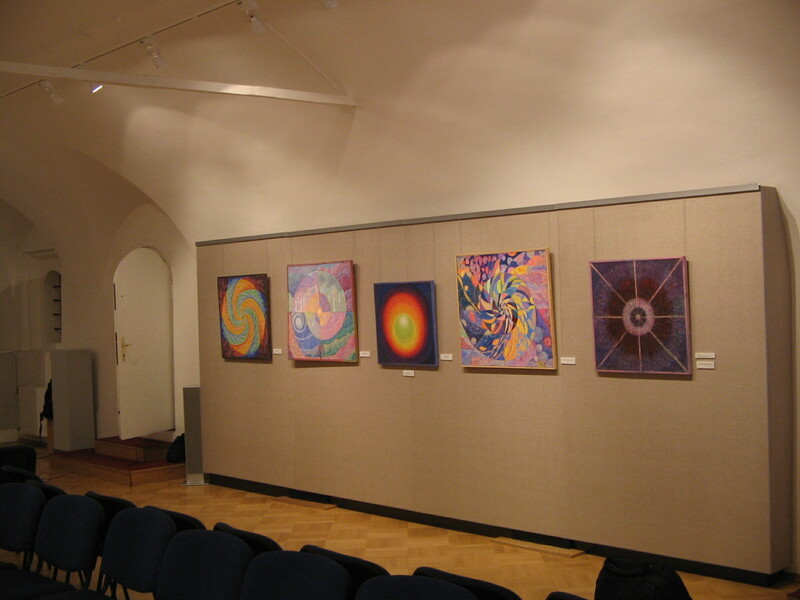 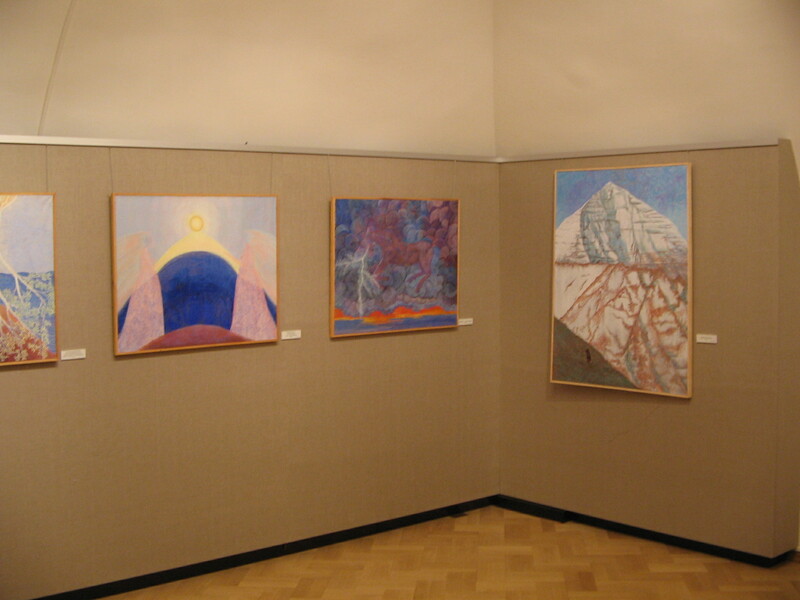 My painting "Map of Shambhala" was used for the exhibition banner.